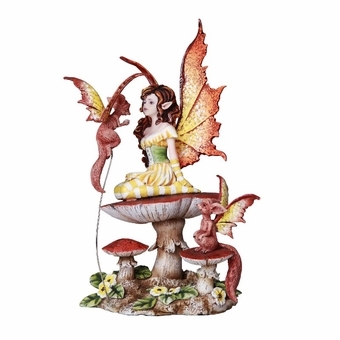 This fun figurine is based upon the famous artwork of Amy Brown! 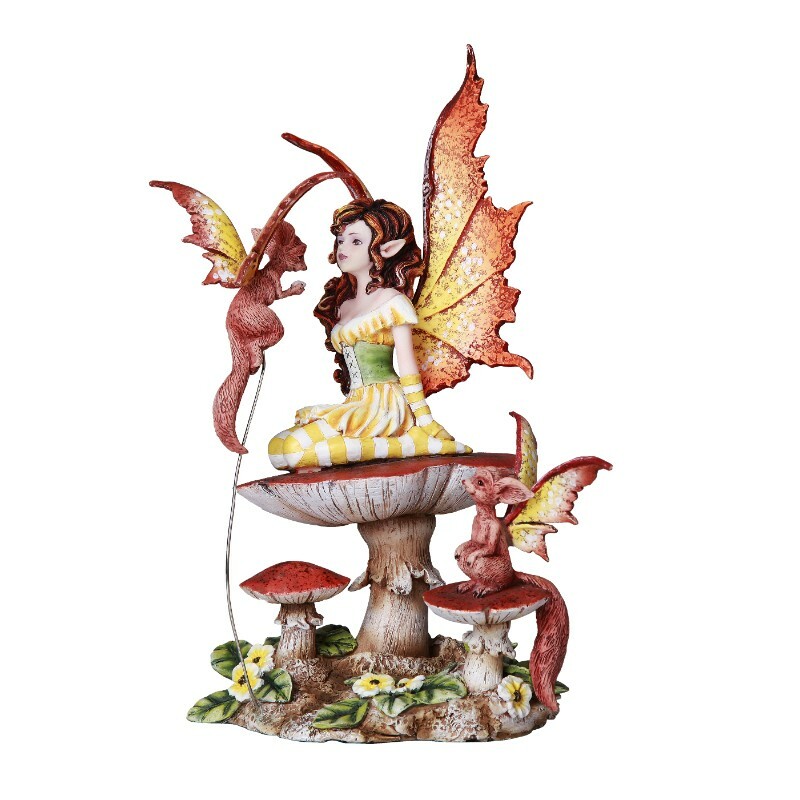 The statue features a fairy perched upon a toadstool. She is accompanied by some furry, winged friends... similar to foxes, but not quite! 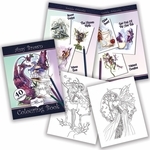 One sits on a mushroom next to the pixie lady, another hovers in front of her. A unique and adorable addition to the collection!